Lucas Paqueta joined up with his AC Milan teammates at training on Monday as he prepares to embark on the next chapter in his career. The 21-year-old has completed his move from Flamengo, as he now continues to integrate himself in the squad and works to build chemistry with his new teammates. 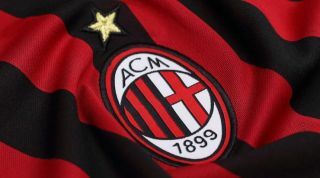 The Rossoneri return to action against Sampdoria in the Coppa Italia this weekend before travelling to Jeddah to face Juventus for the Italian Super Cup on January 16. It remains to be seen whether or not coach Gennaro Gattuso believes he’s ready to feature in either of those two games, while Milan return to Serie A action to face Genoa on January 21. In turn, it’s expected that Paqueta will feature at some point in the coming weeks, but for now he’ll have to prove his fitness and ability to settle before being given the green light to make his mark. As seen in the video below, the Brazilian international was spotted at training at Milanello on Monday, while he also posted on Instagram as he issued a message to his followers. “May it be a year of dedication, results and a lot of joy,” his caption read, with anticipation building now ahead of seeing him in action for the first time. With Giacomo Bonaventura ruled out until next season, Paqueta may well have a key role to play to provide creativity and a goal threat through the middle and so it may not be long before Milan fans get their first glimpse at their new signing. The boys and newcomer, @LucasPaqueta97, underwent their first 2019 training at Milanello: here are today’s best snapshots ? The Rossoneri regrouped at Milanello this afternoon in the presence of Ivan Gazidis, Leonardo and Paolo Maldini ? ?